Airline food - can it ever be tasty and nutritious while travelling at 35,000 feet? 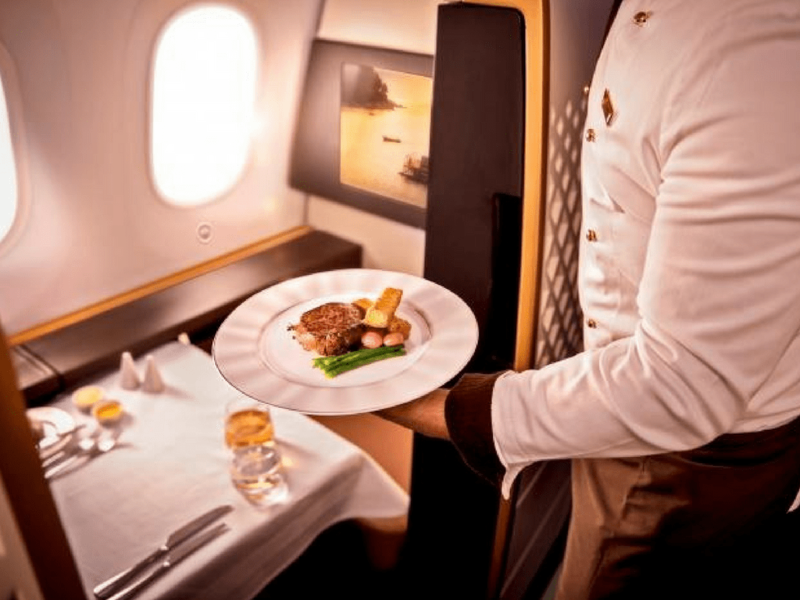 Airline food – can it ever be tasty and nutritious while travelling at 35,000 feet? Home / Business Travel Blog / Airline food – can it ever be tasty and nutritious while travelling at 35,000 feet? When choosing which airline to fly with, most of us consider things like seat pitch, baggage allowance, price and the time of the flight. Whether food is complimentary or paid for can be a factor but how healthy the food is, what is on offer and whether it is actually edible isn’t something that we often get sight of before we travel. And yet, when flying long haul it can be a really big part of the flight, especially if it is particularly poor quality and you are stuck without anything to eat but a bread roll. In the past few years airlines have started to cotton on to the fact that customers expect the food they are served to not only be complimentary but also be reasonably well balanced and actually enjoyable! Back in 2013 British Airways carried out a study in collaboration with Leatherhead Food Research and found umami-rich foods tasted better at higher altitudes. Umami, known as the 5th sense, works to counterbalance the bitterness found in food served at high altitudes, and in response to the research, they reworked their onb0ard menus to incorporate more umami-rich dishes. Charles Spence, professor of experimental psychology at Oxford University also highlights that “Everything that makes up the in-flight experience, it turns out, affects how your food tastes. Food and drink really do taste different in the air compared to on the ground. There are several reasons for this: lack of humidity, lower air pressure, and the background noise.” In line with this Russ Brown, director of In-flight Dining & Retail at American Airlines says ‘Tastebuds and sense of smell are the first things to go at 30,000 feet. Flavour is a combination of both, and our perception of saltiness and sweetness drop when inside a pressurised cabin.” So it might not be 100% the airline’s fault the food they serve can taste pretty bad, but that’s not to say there’s nothing they can offer that will taste nice, or that they can’t offer healthy, lower fat, salt and sugar options. In December 2017, Charles Platkin, director of the New York City Food Policy Center at Hunter College carried out a survey of 12 US airlines and ranked their food in relation to a range of categories including calories, nutrition and menu innovation. A score from 1 to 5 was given (1 the worst, 5 the best) and the top 2 airlines were Virgin Atlantic and Delta. None of the airlines scored a 5 and Platkin says”The airlines still have a tremendous amount of room for improvement,” although some of the examples of food on offer included Avocado Smash Box with fresh guacamole, aged cheddar cheese, hard-boiled egg, green apple slices, multigrain muesli bread and chili flakes (Air Canada) sound significantly better than a lot of the European airlines! If an airline does offer a more nutritious option, it tends to be reserved for business or first class customers. Etihad Airways, for example, have recently announced that they have collaborated with the Abu Dhabi Department of health to introduce ‘Weqaya,’ a range of healthy food items, on-board its flights and in its flagship lounges. The rollout begins in April to business class and first class customers only, so it remains to be seen if economy customers will benefit from this collaboration at a later date. 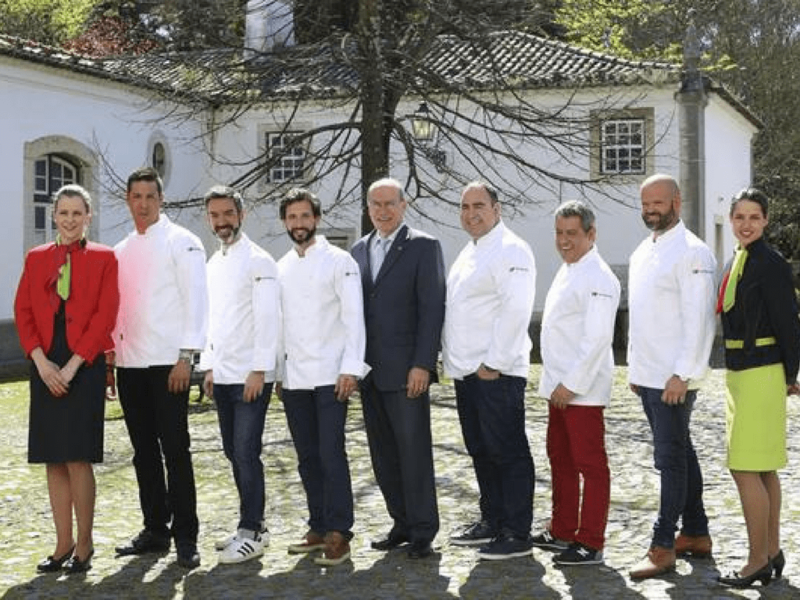 In January 2017, TAP Air Portugal announced a collaboration with five Michelin-starred Portuguese chefs to create low-calorie Portuguese-influenced entrees for its business class passengers. Happily, those meals were also offered to economy passengers in the summer and included a stone bass in tomato and onion stew, along with coriander and basil potatoes created by José Avillez, of the two Michelin-starred Lisbon restaurant Belcanto. “We want to showcase our delicious cuisine but do it with health in mind because people today are more and more health conscious,” Joel Fragata, head of the airline’s in-flight products said. Last year Turkish Airlines, launched a new ‘Fly Good Feel Good’ campaign that includes options such as herbal teas with rooibos, sage and lavender to help relieve stress and promote sleep, or an energizing blend with mate, mint and ginger, available to all customers. Another nice addition is that children are offered a traditional Turkish drink with milk, carob powder and date syrup that’s meant to strengthen the bones. If you are concerned about what you might get served on your long-haul flight a lot of airlines are now offering the option to pre-book your meals (often for a cost but it depends which cabin you are travelling in) from a menu. In addition, British Airways also offers a wide range of ‘special meals’ which you can pre-book for free. Amongst the ones you’d expect to see, like a child’s meal, gluten-free or diabetic meal, they also offer ‘Low fat’, Low calorie’, ‘Low salt’ and ‘Low Lactose’ .